Our unit is setup as a 1 bed, 1 bath, with a living area, full kitchen, private patio and personal parking space. 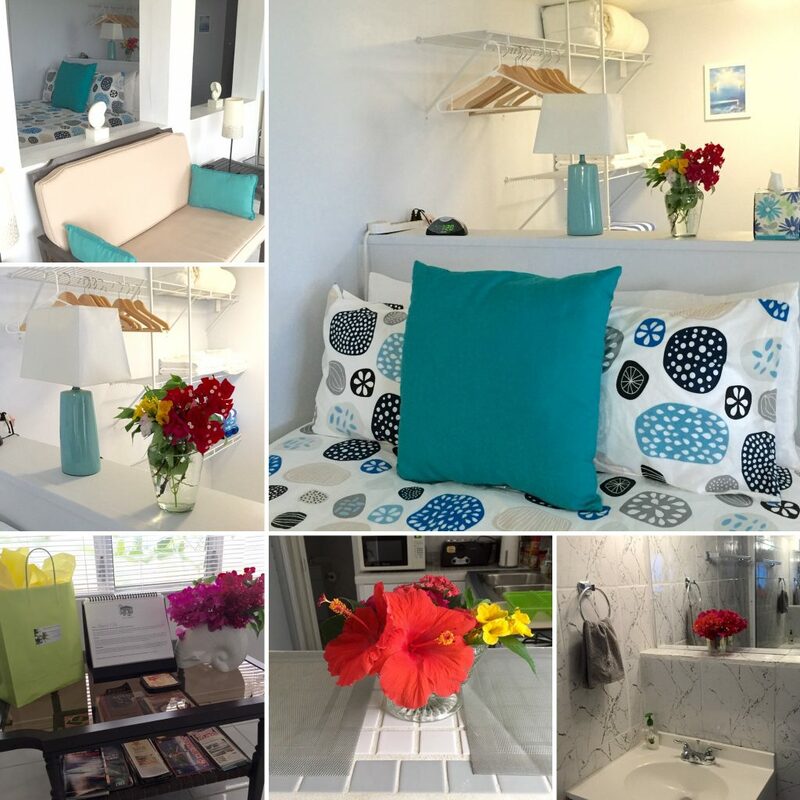 Within the unit we have provided you with all the amenities of a home away from home, including: microwave, stove, blender, coffeemaker, toaster, remote controlled A/C, linens, beach towels, cable TV, and kitchen utensils. We also offer unlimited wireless internet service during your stay at no additional cost. We can comfortably accommodate 2 adult guests, however we do have a sleeper Queen size roll-away bed for children. It will take up quite a bit of space in the living room, but allows for additional sleepers and easily folds away. Our amazing views, outdoor grill and gardens on the property, make for relaxing days and evening inside and outside of the unit.